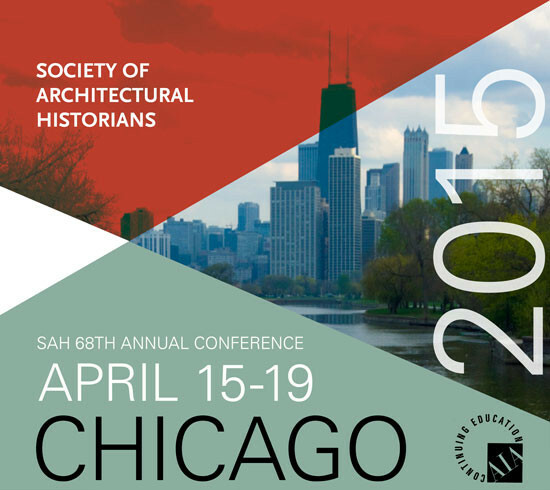 This April, the Society of Architectural Historians will hold its 68th Annual International Conference in Chicago. Leading scholars from around the world will convene to present new research on the history of the built environment. But the conference goes beyond an examination of the past by providing a forum for present-day discussions and firsthand experiences of the built environment. SAH aims to engage two important audiences—conference attendees and the local community—with public programs that include the SAH Chicago Seminar and guided architectural tours. The SAH Chicago Seminar, “Magnitudes of Change: Local Sites and Global Concerns in Chicago’s Built Environment,” features local architects, architectural historians, and policy makers addressing issues surrounding the transformations of Chicago’s waterways and its neighborhoods. The half-day program is anchored by a keynote address by Harvard University landscape architecture professor Charles Waldheim. More than 30 tours of the region’s architecture and landscapes will be led by an impressive group of Chicago-based architects, architectural historians, preservationists and nonprofit leaders. Chicago’s Pilsen, Uptown, Pullman and Chinatown neighborhoods will be featured, along with structures designed by Louis Sullivan, Frank Lloyd Wright, Walter Netsch, Studio Gang and JGMA, among others. Tickets are on sale now at sah.org/2015.